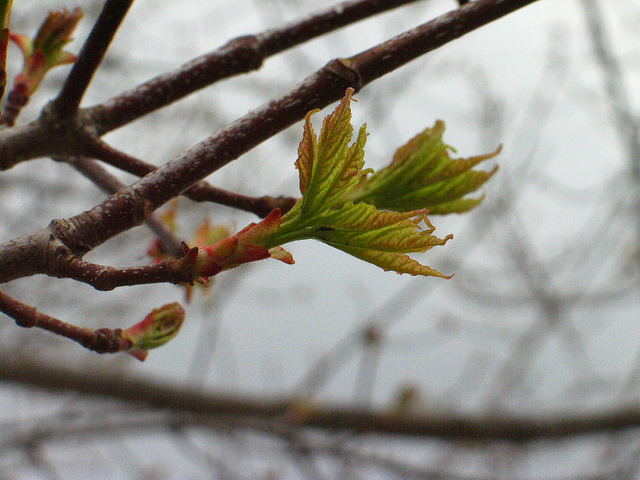 Phenology touches many fields, and connects to students' existing knowledge of the natural world. 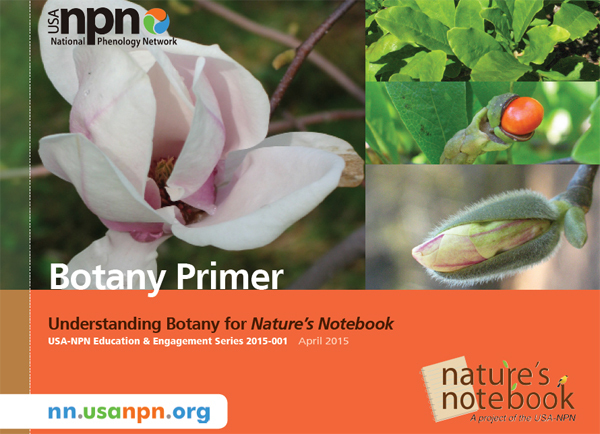 WHY USE PHENOLOGY IN YOUR EDUCATION PROGRAM? 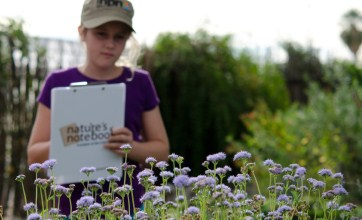 Observing phenology through Nature's Notebook offers place-based, hands-on learning opportunities provides a collaborative platform for site-based educators, promotes cross-subject engagement while addressing standards of learning, and can be used to identify and answer local scientific research questions addressed by many natural resources, volunteer, and gardening groups. Phenology is an excellent lens for teaching about the natural world. You may download, edit and use any of the materials you find on our website. If you have questions about content, email education@usanpn.org. Are you a scientist, educator, staff member or volunteer at a nature center, refuge, city or National Park, botanical garden, or other similar location, working with volunteers, visitors, and school groups? 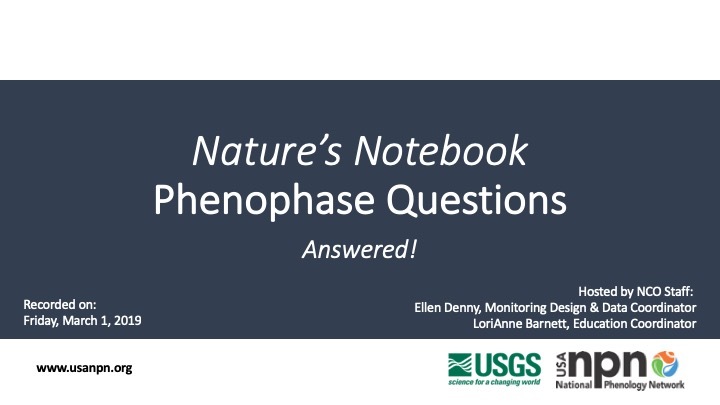 Take a look at the resources we have available to help you begin a long-term monitoring program and establish a Local Phenology Project at your site. A classroom teacher in Grades K-4? There are many hands-on citizen science programs available for phenology monitoring, and some are perfectly suited for K-4 audiences. A classroom teacher in Grades 5-8? 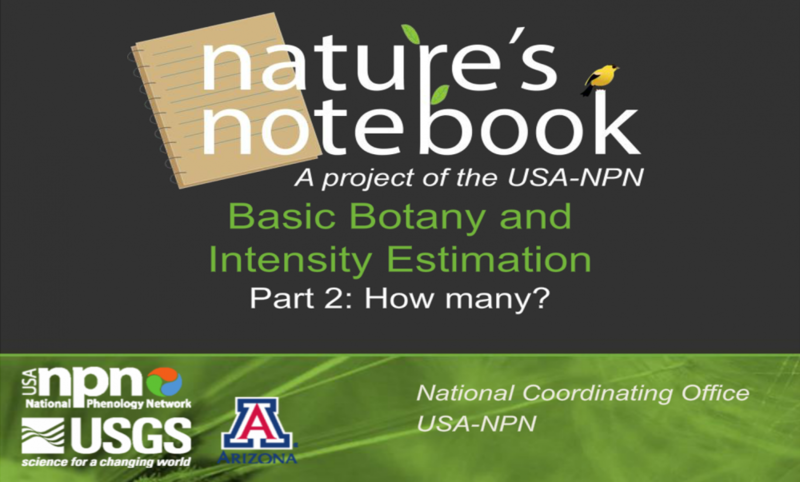 See the lesson plans and ideas we have available for experientially implementing Nature’s Notebook in Grades 5-8. A classroom teacher in Grades 9-12? Implementing phenology monitoring and Nature’s Notebook at the high school level allows students to engage with the content in an experiential way, provides opportunities to do community-based projects through partnerships with local organizations, understand the implications of climate change, and engage with scientists performing data analysis. A higher education faculty member or teacher? Technology in education allows for collaboration in new and exciting ways, including remote data collection and analysis, collaborative web spaces and blogging. Developing a monitoring project that meets multiple course objectives will not only create a sustainable program but provide opportunities for cross-course and community collaboration.